A loan of $5,000 helped cocoa Asante purchase equipment and inventory as well as pay for marketing and branding resources to develop our chocolate brand. As immigrants from Ghana, my parents and I came to the United States for one thing: the opportunity to pursue higher education and the chance to have a better life. From the time I was a child, I have been working to fulfill this dream, both for my parents as well as myself. It all began in my early years as I worked with my mom selling homemade bread. As a pre-teen I started my own hair care service catering to natural hair. And then later on as a teenager I founded my own photography company, helping to capture life's important moments. Now as a young adult, Cocoa Asante has become my passion. I guess you can say that entrepreneurship is in my DNA. For me, my company is not just about selling chocolate. In a way, it represents who I am at my core. It was founded on principles such as integrity, excellence and authenticity, and it is my way of bringing something good into the world. When I dream of the future of Cocoa Asante, I get excited! I see an international company that works to better the communities it operates in; from the farms that grow its cocoa, to the towns that house its manufacturing plants to the cities that sell its truffles. Not only will we sell regular truffles but we will also sell vegan ones for those who cannot consume dairy. Although I am not there yet, I grow closer to my dream every day. I am perfecting my truffles and I plan on traveling back home to gain a better understanding of the cocoa industry. KIVA can help me achieve these goals. It helps a female entrepreneur develop her chocolate brand. It is my long term goal for Cocoa Asante to own its entire chocolate production process. Although 100% of our cocoa originates from Ghana, due to the way cocoa is regulated, I am unable to access cocoa directly from family-owned farms. I must either buy it unprocessed from the government or processed from European corporations. Because I do not have access to a plant to process the cocoa, I have no choice but to purchase it from the corporations that have taken a monopoly in Ghana's cocoa industry. It is my long-term goal to change this. Eventually, I would like raise enough capital to build a cocoa factory in Ghana. This will allow me to cut out unnecessary middlemen so that more of the profits are returned to the farmers, as it should be. That way Cocoa Asante's chocolate is not only sustainable for the environment but also for the communities which work so diligently to produce the truffles we all enjoy. When it comes to my company, I am most proud of the authenticity of my product. The ingredients are of the best quality from my home country, of Ghana, and each truffle is made with care. Eating chocolate from Cocoa Asante is not just something to do, it is an experience. As of now I am the only employee. After my product finalization, I plan on reaching out to various stores so that they can distribute the truffles. I have already made contact with a few locations but have yet to present a final product. I also plan on hiring employees as business grows. I work as a middle school math teacher at a high needs school and my husband works in customer service for a cellphone company. Thus far we have funded everything by funneling our extra income into the business, but that has only gotten us thus far. A loan from KIVA would make all the difference for Cocoa Asante. As a small startup company, access to capital without high interest rates and hidden fees has been difficult to find. After months of testing the market, people have shown a high level of interest in our product. But I am unable to fulfill that need due to a lack of funding. I plan on spending the money in the following areas: inventory including custom packaging and ingredients: $3000. Equipment such as candy molds, trays, bowls, small freezer: $1000. Official logo and branding kit: $500. Social media and website: $500. Currently, Cocoa Asante's revenue is about $200 per month due to the fact that we are only able to fulfill small custom orders. With this loan, I can finalize the product and begin selling to distributors and individuals. I expect revenue to increase to $600 for the first month or so and then continue to go up exponentially from there. Why are you endorsing Ella? Ella is passionate about chocolate. I have met very few people who love chocolate and perfecting the art of making chocolate as much as her. It is in her DNA. 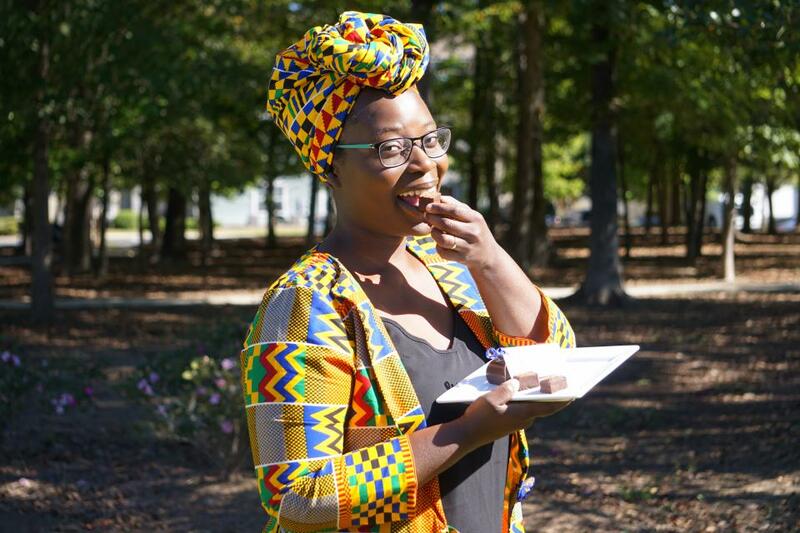 Her family in Ghana is still involved in the production of cocoa, and she wants a way to connect to her roots. She is a hard worker and an intentional entrepreneur. We have been privileged to have her go through our program.